Heather Turgeon, MFT and Julie Wright, MFT are sleep consultants and the authors of the top selling book, The Happy Sleeper, The Science-Backed Guide to Helping Your Baby Get a Good Night’s Sleep. 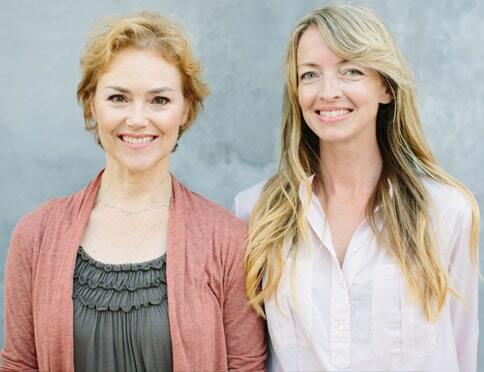 They are both psychotherapists, and run a Los Angeles and New York City based sleep and parenting practice. They offer sleep consultations all over the world for babies, toddlers, and school-age children, as well as parenting consultations and individual therapy. Their new book, Now Say This: The Right Words to Solve Every Parenting Dilemma, is a practical guide to empathic communication and limit setting. Heather’s writing has appeared in The New York Times and The Washington Post, and she frequently speaks at parenting centers and schools. She lives in Los Angeles with her husband and two kids. Julie is the creator of the Wright Mommy and Me, one of Los Angeles’ best-known parent and me programs. She has specialized training and experience in the 0-3 years, interning at Cedars Sinai Early Childhood Center and LA Child Guidance Clinic. She lives in New York City (traveling to LA often) and has an adult son. Visit the website: thehappysleeper.com, or buy The Happy Sleeper.